Synopsis: Agreeing to go to a wedding with a guy she gets stuck with in an elevator is something Alexa Monroe wouldn’t normally do. But there’s something about Drew Nichols that’s too hard to resist. Review: I love a good meet cute, especially one that doesn't come across as cheesy or forced. From the time Alexa and Drew meet, there's definitely chemistry between the two. Jasmine Guillory doesn't lead readers on a long and winding journey to determine if they're right for each other and I appreciate that. Too many authors waste half a book just deciding if the characters like each other. This isn't high school, these are grown people. Guillory also takes on the aspects of an interracial relationship without playing into tired stereotypes. Alexa is black and Drew is white, but it's not something either character dwells on when sizing up the other and it's not much of a factor in their relationship. He doesn't fetishize her as a black woman, she's not looking for a white savior. I love that about their story. 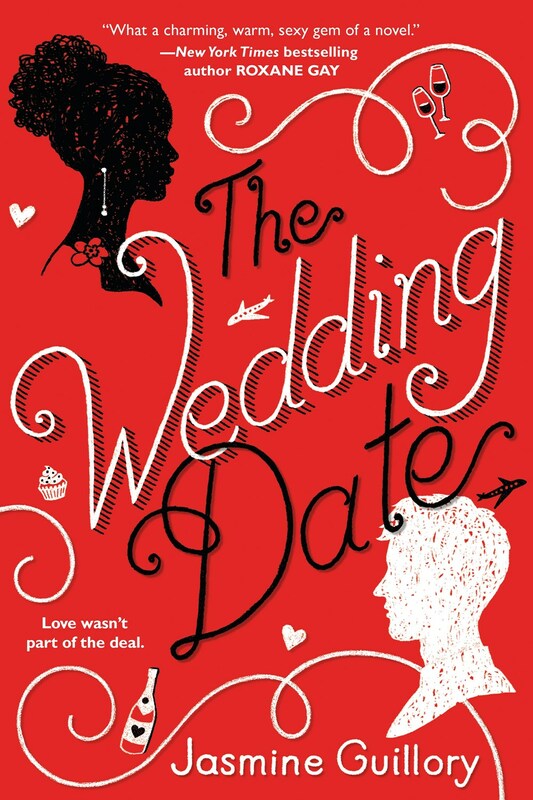 The Wedding Date is a solid read with well thought out characters. Their interactions aren't limited to the bedroom and doing the horizontal hokey pokey. While the story does follow the boy meets girl, boy loses girl, boy might get girl back story line, Guillory has given readers a lot more insight into the relationship of Alexa and Drew and the thought processes behind their decisions.